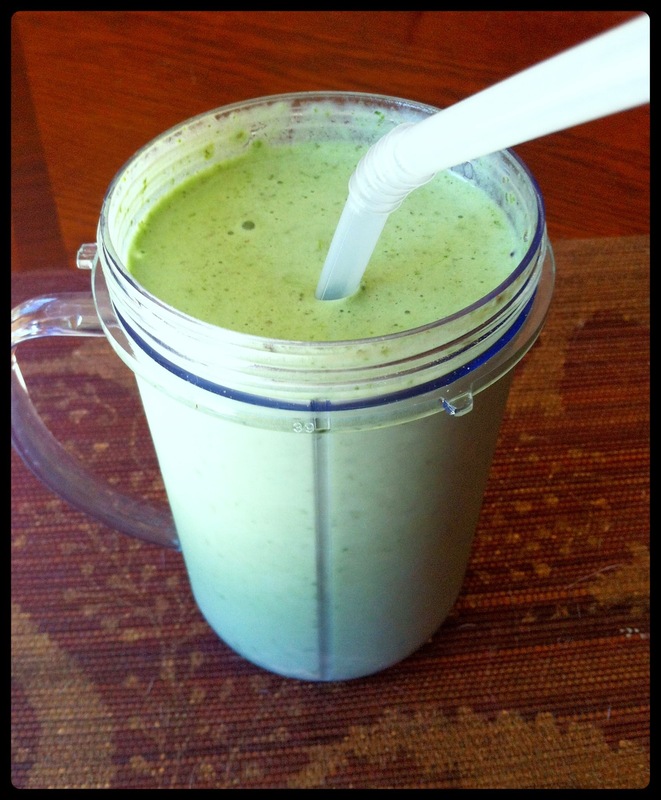 I'm here (late) with my ode to St. Patrick's Day.... My favorite green smoothie! This has been my go-to smoothie recipe for a while now. I love the sweet, smooth flavor and how thick & creamy it is. It doesn't get much better in my book as far as smoothies go. This recipe tastes like a tropical milkshake~ and if I was drinking it blindfolded, I would never guess it was green. Plus, it's SO good for you! On with the recipe, but first a tip: Always use frozen fruit in your smoothies! Cuts out the need for ice & keeps your drink from getting watered down. Blend all ingredients until smooth using a blender or Magic Bullet. Do you substitute this for a meal? Have it as a snack? Post-pre work out?? Spirulina is so versatile. Whoever came up with the powder was thinking well. It can be added to so many sweet and savory dishes.